From now until stand-hanging time in September a lot of people will be out working their deer hunting property, clearing trails, taking out trash trees to let in more sunlight, etc. I prefer Echo, Stihl and Husqvarna in that order. Echo has the longest warranty and best power to weight ratio (it’s all I currently own). 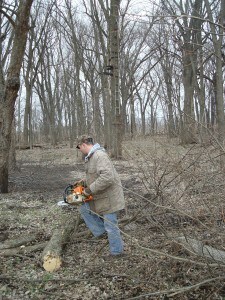 Stihl has always made a good saw, and a “Husky” is built like a tank, but seems to have a longer power stroke so you have to run them wide open all the time for best performance. All 3 are solid choices. Buy a saw in the 40-45 cc range with an 18” bar and it will meet 95% of your land-management needs. A quality saw will last about 25 years of hard use. What chainsaw do you use and swear by? 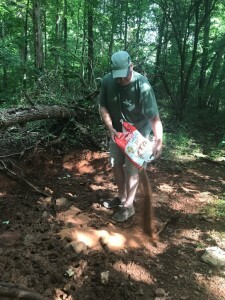 Now is time to build new mineral sites (or start recharging old ones) on your hunting land. “Licks” are easy and relatively inexpensive to build and maintain, and they serve 2 purposes: 1) provide trace minerals and vitamins for all deer, from bucks growing new antlers to does getting ready to drop fawns; and 2) they are top spots for you set trail cameras and monitor growing antlers all summer as you prepare your 2018 game plan. Scientists note that whitetails use mineral sites most heavily from late summer until the first frost next fall. From personal experience and observation here in Virginia, bucks start hitting minerals whenever we set them out in early spring through the first 2 weeks of August, when our camera images of mature bucks at licks begin to taper off. How many mineral sites do you need? Research shows that one site for every 50 to 100 acres of hunting land is about right. We maintain 8 to 10 licks an 800-acre Virginia farm every year. Locate mineral sites strategically across your property. Twenty to 30 yards back in the woods from the corners and edges of crop fields and food plots are good spots. Most of our licks are located close to main deer trails, where bucks can veer over to check them with minimal effort. Two of our best sites are near creek crossings back in the woods. To build a site, clear a spot 4 to 6 feet in diameter (or larger if you like) and rake away the leaves and grass down to bare soil. It helps to break up and loosen the dirt with a shovel. 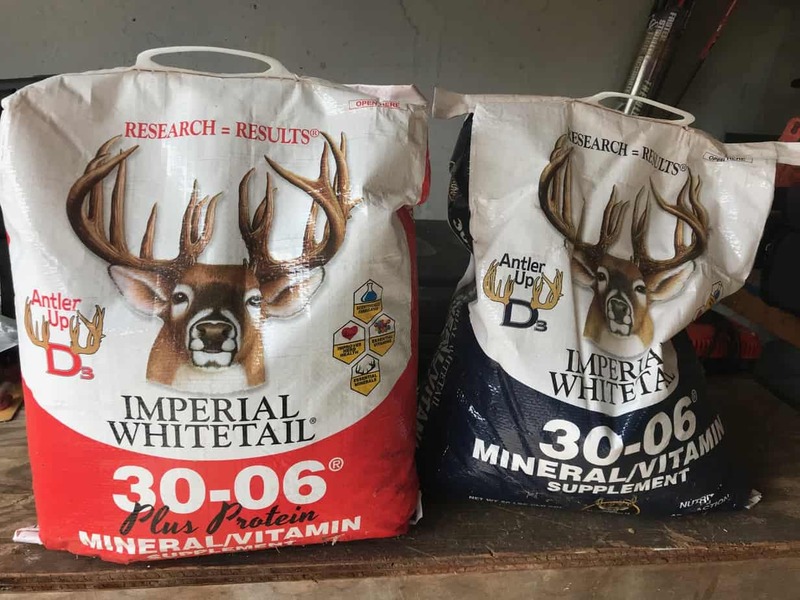 There are dozens of minerals formulated to attract deer and to provide vitamins for better deer health. We began using Imperial Whitetail .30-06 from Whitetail Institute last year with great success, and now use them exclusively. Dump and scatter minerals into a lick. Whitetail Institute recommends you use at least 5 pounds in a new site. We use 10 pounds to an entire 20-pound bag the first time we re-start an established mineral site in the spring, and then use half a bag in each lick after that. We refresh our sites every 3 weeks to a month throughout the summer. Look for a good tree for a trail camera within 10 feet or so of every mineral site you create. Start running your cameras in June and watch the bucks’ antlers grow. By August you’ll have thousands of images of deer at licks, and a good inventory of the size and age class of bucks on your land. Side note: It’s fun to watch how the most active mineral sites grow. As deer dig for minerals in the same sites year after year, the holes get bigger and deeper. I’ve seen licks deep enough to hide half a buck! I end with this important note. Here in Virginia, using minerals is legal during spring and summer, but not permitted from September 1 through the end of hunting season. State laws vary, so check your game regulations. Finally some good news in the hunting/outdoor industry. 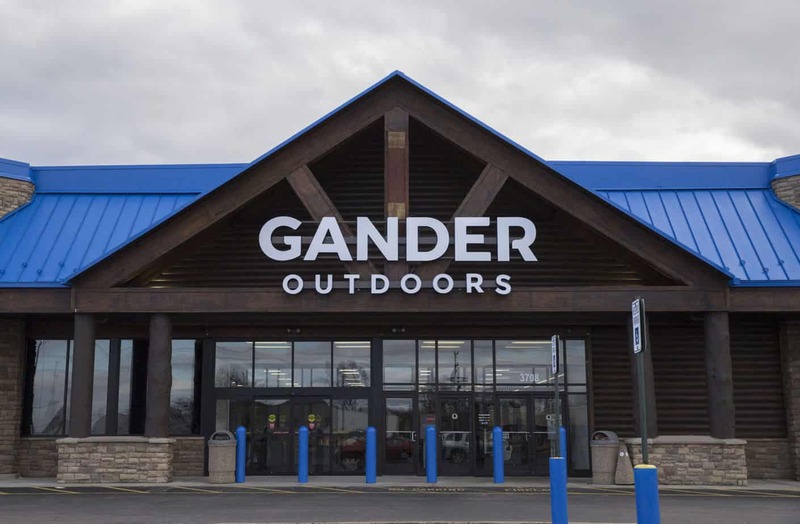 Reports are that Camping World, which bought Gander Mountain in a bankruptcy auction last year, is on track to open (or reopen) at least 70 stores in 2018. 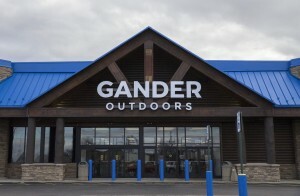 Click here to see the list stores that are scheduled to be opened under the new “Gander Outdoors” banner by May. That’s only a couple months to make it happen, but let’s hope it does. I’ve long loved Gander Mountain..ur, I mean Gander Outdoors. 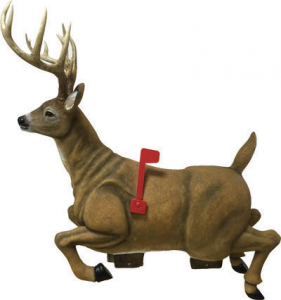 New Product: Whitetail Deer Mailbox! Certain to make you the envy of all your hunting buddies, this durable Fiberglass Reinforced Plastic (FRP) design is made to withstand everyday use and the outdoor elements. Crafted with amazing attention to detail and meticulously hand painted, the fade resistant coating will keep it looking great while waiting at the roadside to receive your mail. It is approximately 38” long x 32” tall x 20” wide (with antlers), weighs 25 pounds and mounts on standard 2” x 4” or 4” x 4” on post (not included). Tamper resistant mounting screws are included, which is a very good thing. I’d double-down on locking this mailbox to the post. The deer mailbox is in stock and available to order for $299. 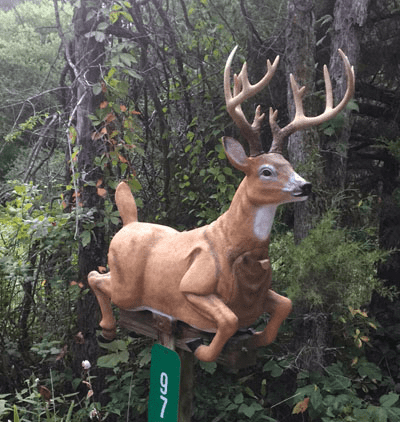 This thing is pretty cool and I know a lot of deer hunters would love to have it…how many will shell out $300 for a mailbox is a question mark. Will you? Our friends at Petersen’s Bowhunting Magazine give us the specs on 6 new crossbows that were unveiled at the 2018 Archery Trade Association show. Since getting a good buck with a crossbow on TV is high on my bucket list—while I have killed my share of deer with vertical bows, I have never even shot a crossbow, much less bagged a deer with one—this article was of interest. …the (Mission) SUB-1, so named for its ability to consistently deliver groups less than 1 inch at 100 yards. At just 6 inches wide, the Stealth NXT (pictured) headlines TenPoint’s next generation of high performance bows. …Excalibur’s 360-fps Assassin (has) an integrated silent Charger cranking system (that) allows for quiet, fast and easy loading and unloading, virtually eliminating draw weight concerns by reducing its 285 pounds of draw weight to a mere 12 pounds. …the compact, ambidextrous Versa-Draw Cocking System (Ravin R20) is integrated into the stock and provides the ability for simple cocking just 12 pounds of draw force and uncocking without having to fire the crossbow. 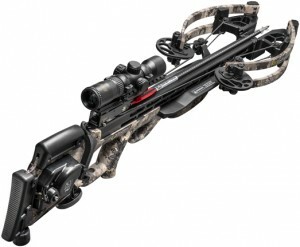 What really stood out (and in some cases shocked me) was the MSRP price of these new crossbows. While the PSE is around $600, the others in this overview run from $1,200 to $1,600 to $2,600. I had no idea that a Xbow costs that much, but then like I said, I did not realize that crossbow technology had advanced so much. Apparently with a new Xbow, like anything else, you get what you pay for. I don’t know yet which one of these new horizontal bows I will get and hunt with this fall, if any, but I really do want to try it. How many of you hunt with a Crossbow…how do you like it?